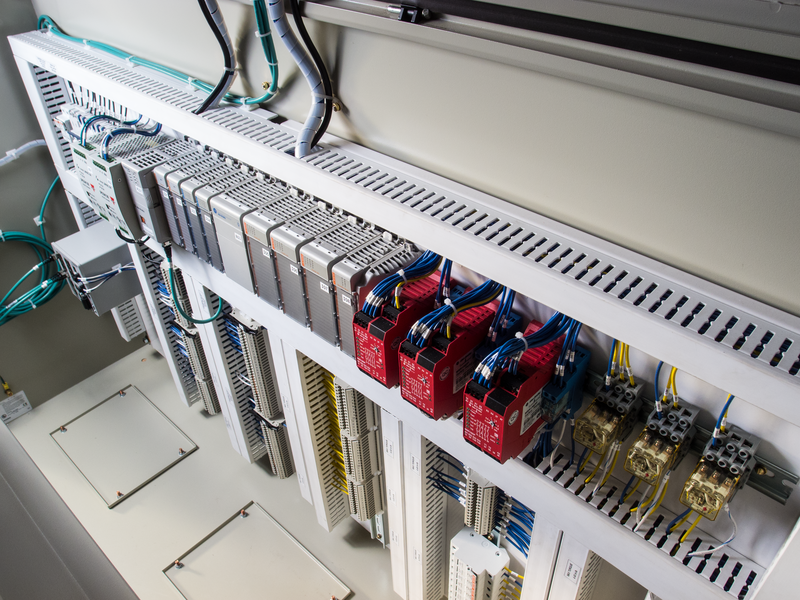 Programmable Logic Controllers- We can develop an industrial computerized control system that will monitor and maintain the state of your electronic input devices and then automate the responses of the output devices based on your production process needs. 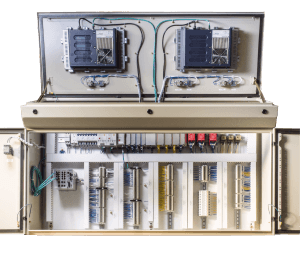 Call us to find out more about our PLC solutions! 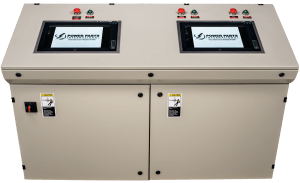 When would you need a Custom PLC? 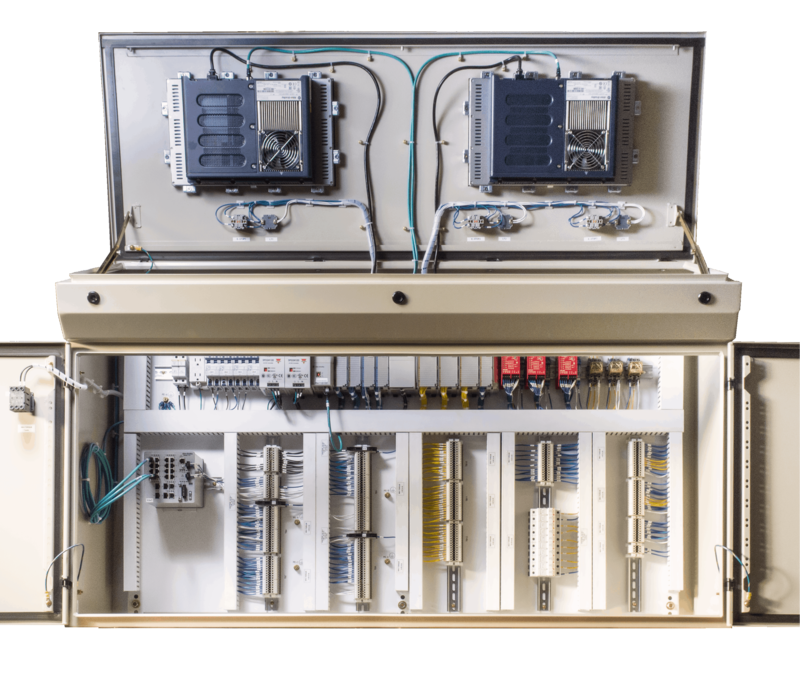 PLC panels support a variety of communication protocols and have many options for interfacing.